We recently wrote a blog about corporate party ideas that we know will impress your employees and friends. But we’ll be honest, there were just too many ideas to fit into that one blog. We’re all about corporate parties that are out of the ordinary, which is why we provided you with plenty of ideas that were different in a good way. This time, we’ll keep it a little more mainstream, but still varied enough that you’re bound to leave with an excellent corporate party plan. So without further ado, here are 4 more corporate party ideas that you can use throughout the year, no matter your budget! Do you love watching those Tasty videos that are all over Facebook? We bet your employees love them too. Give them an opportunity to try those delicious-looking recipes in a controlled environment. This is a great party idea for a small company with 10-30 employees. It’s an excellent bonding experience for your small business, and who doesn’t love making delicious food? A list of participants – you need to know how large of a space to book. You can make this happen by providing your employees with a list of potential options to cook or bake, location options, and various dates. Once you have the results in, book it! A location – it’s important that you choose a public baking place and that it’s affordable. We found some local Salt Lake City venues that do large cooking or baking classes: Salt Lake Culinary Center, Park City Culinary Institute, For Your Kitchen, and The Tasting Room. A menu – your guests will want to know what to expect, and if they’re all making the same thing it will be fun to compare and contrast their results! Talk with the kitchen you’ve booked to make sure it’s all feasible. An instructor – usually an instructor will come with the rental of your space, but if not, make sure you find someone reliable and who can teach a group large of people. 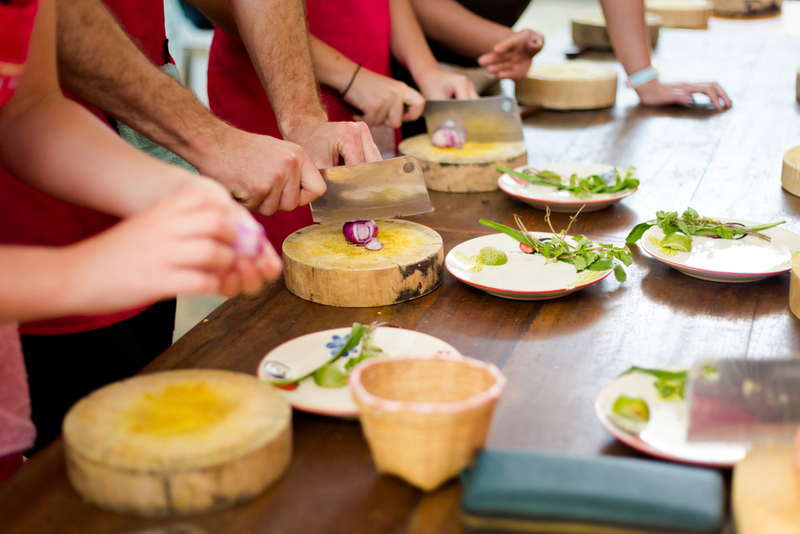 Once you’ve figured out the logistics of your event, it’s time to get cookin’, literally. We know this idea will really go over well with your small company, and we know your employees will appreciate your efforts. To really make it special, invite your guests to bring a spouse or significant other, as it has the added benefit of a romantic date. If you decide to throw this fun party, please let us know how it went! A location – there are plenty of bowling alleys in the world, but not all of them support large parties. So make sure you contact an alley that allows for large parties and one that has an opening in your time frame. Estimated attendance – we know it can be difficult to get your employees to commit to an event, but if you can get them to RSVP then you should. That way you can split the bowling alleys and put people on teams or in groups. Food – so you can definitely choose to let people purchase food at the alley, but sometimes bowling alley food isn’t the best. Discuss food options with the bowling alley you’ve chosen and see if they’ll let you order pizza or catering the day of your event. Prizes – you can’t have something sporting like bowling without prizes! Purchase something small like gift cards, company swag, movie tickets, or to be extra unique, you can let people win extra PTO or holidays! 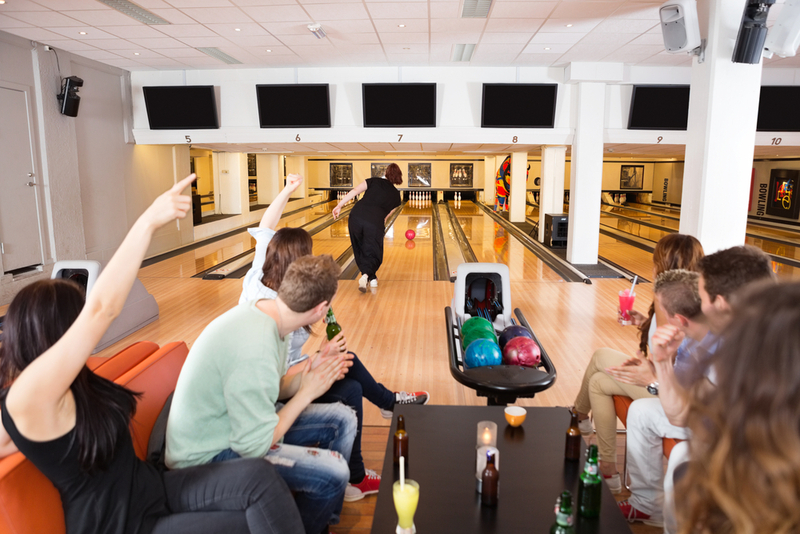 We hope that if you decide to host a bowling night for your company that you also get to attend! As you might be able to tell from our most recent blog post, we really appreciate charity events. 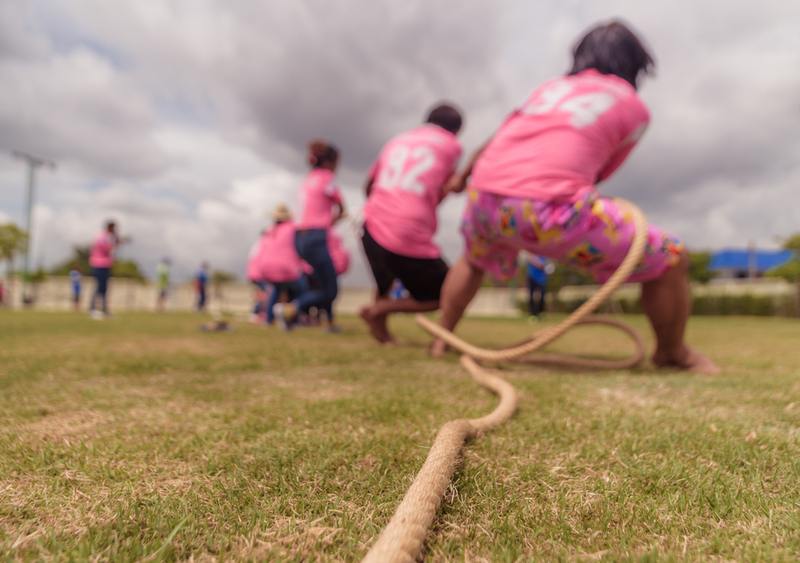 It can be very rewarding to unify your team with a way to give back. To make it a little more fun, we suggest creating a run for charity. Many people love to do charity runs, and they’ll appreciate your efforts. However, if you do decide to do a run, make sure it’s not the only event you do that year because not all of your employees will be able to participate and you don’t want to exclude anyone. A date – make sure you pick a day for your charity run that will work weather-wise. Pick a day too cold and people won’t feel motivated. Pick a day too hot and you might get people passing out. We suggest a fall run. 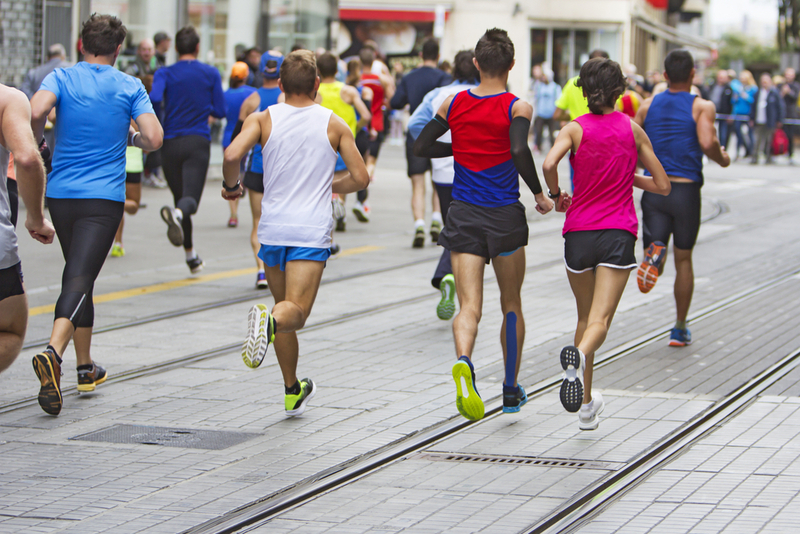 Marathon length – there are several varieties of marathons, many of which are likely too difficult for most people. Choose a length that the majority of people will be able to complete, as well as bring their families and children. A route – does your city have a beautiful route through its heart? What about any mountainous or nature routes? Choose wisely because again, you’d like everyone to be able to participate. Make sure you get all the permits you need in order to do this. A charity – what’s a charity run without the charity? Choose something that most of your employees can relate to like the Humane Society or something local. Prizes – because you yourself are paying for the charity and your employees are doing the running, they don’t have to enter to run. Provide them with a prize of a t-shirt or a backpack at the end of their run. Water – this seems incredibly obvious but you really can’t forget the water. Your runners will need it along the way, and if you’d like to go above and beyond, try having hoses at the end of the race for them to cool off! This event likely requires a little more planning than your average corporate party. Give yourself plenty of time to figure out the details, then enjoy your fun day with the knowledge that you’ve done a great thing for you community! A field – seems pretty self-explanatory, right? Well when you decide on a park, just make sure you can book the space, that it’s big enough, and close to your office or building. That way no one can complain about the location, and you’ll have plenty of space to have a lot of fun! An itinerary – you don’t necessarily need to stick to whatever schedule you create exactly, but it’s important that you know what to expect and that your guests know where to be. Provide them with the itinerary before they arrive. Activities – this is honestly the best part. Choose from games like water balloon fights, pie-eating contests, dart tossing, bounce houses or slides, and relay races. Your guests will really love letting their little ones participate. Food – rent a tent to house whatever food you decide to cater for the day. We suggest additional tents to provide some shade while your employees eat. This event is a little easier to pull off, but make sure you get some help so that your guests are entertained from start to finish! We hope these ideas have helped you in your journey to find the perfect corporate event. If you would like additional ideas, you can visit our first installment of corporate party ideas, and if you’ve found the event you’d like to pull off, you can always visit our products pages to see how we can help you make it a reality. We are experts in making your event or party perfect and easy. Ready to make it happen? Call us anytime at 800-638-9849! We can’t wait to go all out for your event!